This article is about the Italian title. For other uses, see Duce (disambiguation). Duce (Italian pronunciation: [ˈduːtʃe], leader) is an Italian title, derived from the Latin word dux, and cognate with duke. National Fascist Party leader Benito Mussolini was identified by Fascists as Il Duce ("The Leader") of the movement. In 1925 it became a reference to the dictatorial position of Sua Eccellenza Benito Mussolini, Capo del Governo, Duce del Fascismo e Fondatore dell'Impero ("His Excellency Benito Mussolini, Head of Government, Duce of Fascism and Founder of the Empire"). Mussolini held this title together with that of President of the Council of Ministers: this was the constitutional position which entitled him to rule Italy on behalf of the King of Italy. 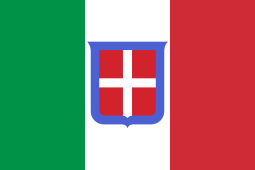 Founder of the Empire was added for the exclusive use by Mussolini in recognition of his founding of an official legal entity of the Italian Empire on behalf of the King in 1936 following Italy's victory in the Second Italo-Ethiopian War. The position was held by Mussolini until 1943, when he was removed from office by the King and the position of "Duce" was dismantled, while Marshal Pietro Badoglio was appointed Presidente del Consiglio. This position was the model which other fascist leaders adopted, such as the position of Führer by Adolf Hitler. In September 1943, Mussolini styled himself as the "Duce of the Italian Social Republic" (Italian: Duce della Repubblica Sociale Italiana). History of the term "Duce"
The title was used outside its traditional noble sense in some of the publications praising Garibaldi during the Unification of Italy in 1860, though not taken up officially by Garibaldi himself. 'Duce Supremo' ("Supreme Leader") was more formally used by Victor Emmanuel III in 1915, during World War I, referring to his role as the commander in chief of the armed forces. 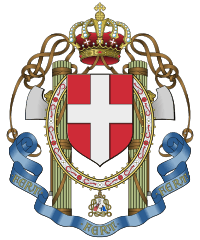 The term was also used by Gabriele d'Annunzio as dictator of the self-proclaimed Italian Regency of Carnaro in 1920, and most significantly by the Fascist dictator Benito Mussolini. The painting 'Il Duce' by Gerardo Dottori represents Mussolini, and the title 'Il Duce' has become associated with Fascism and is no longer in common use other than in reference to him. Because of modern anti-fascist sentiment, Italian speakers in general now use other words for leader, mainly including the English loanword. However, the term duce survives as an antonomasia for Benito Mussolini. ↑ Image Description: Propaganda poster of Benito Mussolini, with caption "His Excellency Benito Mussolini, Head of Government, Leader of Fascism, and Founder of the Empire ...".